Several years ago, Dan and I began discussing adoption for our family. 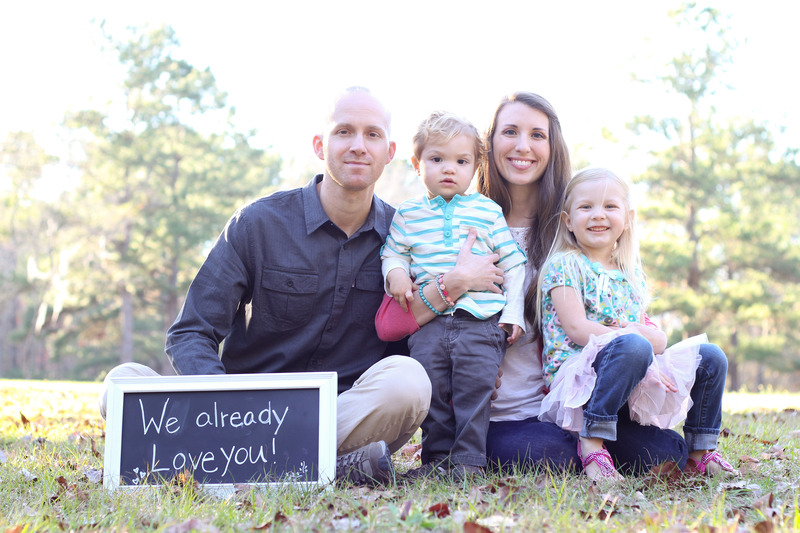 Our first conversation on the topic was sparked by the completion of our friends’ adoption. We wondered if this was something we could do, and we prayed for God to guide us. Seeing our friends’ family grow in numbers and love has been wonderful, and now we have several other family friends who have adopted too! Since that first conversation, we have grown our family with biological children, and they inspire us to adopt even more: We have been amazed at the love, joy, and passion that has grown in our hearts for our children, and we can’t wait to share that love with another child! In the spring of 2013, we set aside a time of prayer and fasting to seek God’s will for our family. By the end of this special time, Dan and I were both feeling confident and ready to commit to bringing a child home through international adoption. We started building a relationship with an agency we trust, and are on the path toward bringing home a little one from Haiti. We are so excited to be on this journey, and will keep a timeline updated below. When you think of us, please pray for our child. Please pray for God’s protection over him/her, for God’s love to reassure and carry him/her through the loss and hard things about being orphaned. Please pray for us: That God will grow our family into the perfect match for our child. Please pray for the process: that the approval, paperwork, and legal & financial details will work out smoothly. Thank you for your encouragement, love, and prayers! April 2013: Prayer & Fasting. We commit to adopting! June 2013: Formal application to agency was approved! August 2013: Submit all our paperwork for our Home Study! November 2013: Home Study Approved!!! Hooray!!! April 2014: Dossier sent to Agency!!! Next: We are waiting to receive a referral: our official match with a child. It will probably be about one to two years before we are matched with our child. Then, we will travel to Haiti for a 2 week bonding trip with our child, and then return home leaving our child in Haiti. If we are approved by Haiti’s social workers on our bonding trip, our adoption case will proceed through the court process in Haiti (this part of the process is estimated to take another 9-12+ months). If you would like to get in touch, or find out more about supporting us in our adoption, please fill out the form below. We would love to hear from you!